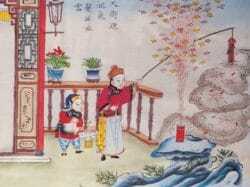 Today, we see fireworks as a sign of magical celebrations, festivities and community events, however that’s not always been the case…..
As far back as 200BC in the towns of ancient China, firecrackers were used for enemy fire against the marauding larger built men of the surrounding mountains. Records also show in 1046 that the Chinese were the first to use gun powder as a form of weapon by making gun powder catapults by hand. It is widely recognised that the Chinese discovered fireworks over two thousand years ago by putting charcoal, sulphur and salt peter all in a wok whilst cooking by mistake! However it was a European scholar by the name of Roger Bacon (1214-1291), who worked out the full explosive potential with the right mix of these three compounds. He wrote down his findings in code in order that this knowledge wasn’t passed into the wrong hands. This tactic worked and his real findings were not discovered for hundreds of years. Marco Polo has been accredited with bringing gunpowder to the Europeans in 1295, via the Middle East with European crusaders then introducing to England. Rumour has it the first ever celebratory fireworks used in England were by King Henry VII in 1486. However, it took until 1560 before the European chemists managed to get the mix of charcoal, sulphur and salt peter 100% correct and which combination remains unchanged to this day. Aerial shells were invented by the Italians during the 1830’s. Shells, sometimes referred to as Mortars, are used extensively in modern firework displays today. They also discovered which metallic powders to use within the shell to produce different colours and effects, such as stars and brocades. The introduction of these shells also enabled the shape and direction of the firework, which resulted in their increasing popularity worldwide. Back in 2004, Disneyland first used compressed air instead of gun powder to launch the fireworks for their magical displays. The shells were exploded by electronic timers which enabled the firework display to be coordinated to music. Fireworks history shows how today we are spoilt with some of the spectacular fireworks with stunning effects combined with big rockets to guarantee that wow factor whether it be attending a professional display or with garden fireworks. Competition is rife to create biggest single firework ever – check out this video showing a world breaking firework at the Malta Festival in 2016 – WATCH TO THE END!